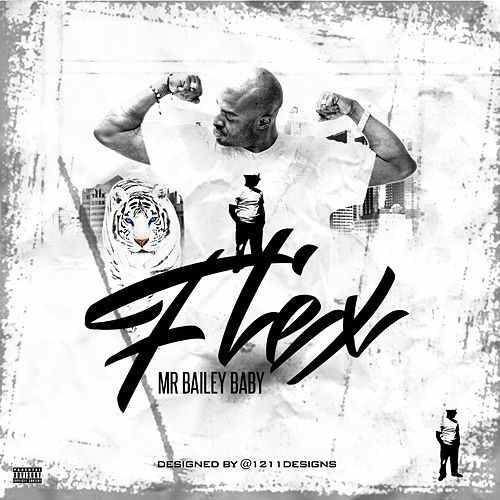 Mr. Bailey Baby did his thing on this track “Flex”. Coming straight outta Columbus, Ohio. His music is like a burst of energy based on the perspective of a hustler & motivational speaker. Straight hustle talk. His brand is growing slowly but surely & Mr. Bailey Baby’s consists of t-shirt, jeans, and other items he designs. His whole creative process is different. He got a lot of unreleased sauce that will be coming to the blogs this year. Anxious to see the moves he makes to position himself but the music is there. He’s been cooking up fire since he got started. His catalog is pretty decent. He’s currently building a website to operate online, and worldwide so he can connect with more people. More music will be coming from Mr. Bailey Baby very soon, but this is definitely something you should have your ears on!